Overall, The Secret Life of Walter Mitty is a decent creative film that you don’t have to be a Ben Stiller fan to enjoy. Walter Mitty (Ben Stiller) has a lot of adversity in his life. His job as a Negative Asset Manager at Life Magazine is in question, with the magazine having been taken over by new management. They have all been told that the next issue is the final printed one. Walter's new boss is a snarky, condescending character who delights in calling attention to the fact that Walter likes to space out at the most inopportune times. The daydreaming is his way of escaping the pressures of daily life and retreating into a world of romance, heroes, and villains. Exactly the opposite of his typical life. This quickly earns him the nickname "Major Tom", referencing David Bowie's 1969 song "Space Oddity". True to the characters often played by Stiller, Walter is awkward and unsure of himself, not standing up to the repeated name calling by his boss. Complicating matters is the fact that Walter has joined an online dating service, which he really does not know how to use. What he does know is that he has a crush on one of his coworkers, Cheryl (Kristen Wiig), who is also on the dating site, but he does not know how to approach her in real life. An overzealous tech support operator at the site makes suggestions for Walter to jazz up his profile page, including being more adventurous, which causes him to retreat into his fantasy world. A package of negatives, taken by a Sean O'Connell, well-known photographer arrives at the magazine's offices and Walter is responsible for printing the one that will become the last Life Magazine cover ever. Unfortunately, negative 25 is missing in action, which prompts an extensive search by Walter and a cat and mouse game with his boss who is pushing him to meet the fast approaching deadline. Walter's hunt for the elusive negative eventually takes him to Greenland and eventually to Iceland, where he has no luck. Returning to New York, he finds that his coworker Cheryl has been let go, and he too gets fired. When he visits Cheryl's house, he comes face to face with her husband, with whom she has reunited. Taking his mother's advice (she knew Sean O'Connell), he travels to Afghanistan and climbs the Himalayas, where he finds O'Connell, only to learn that the missing negative was in a wallet that O'Connell had given him as a gift. In the end, Walter gets the girl and he gets onto the last cover of Life Magazine. While the shy, awkward character of Walter is typical of other characters played by Stiller, Walter Mitty is a somewhat different character than we are used to seeing him play. Because of Walter's constant daydreaming, the movie takes on a very abstract feel, which can be a little difficult to follow at times, but it is a feel good, enjoyable film, where the underdog perseveres and comes out on top. The set includes the Blu-ray and one Digital HD copy. There is bonus content on both discs. The Blu-ray version in particular, includes deleted, extended, and alternate scenes. As the movie is a remake to a 1947 film starring Danny Kaye, there is a brief segment in which the original story as written by author James Thurber was discussed as well as the original film version. There is also some discussion about the making of the film itself including the Casting of the extras that were used in the film. For true film buffs, there are bonus outtakes that include how the opening credits were designed and segments showing behind the scenes looks into how some of the scenes were filmed. Overall, The Secret Life of Walter Mitty is a decent creative film that you don't have to be a Ben Stiller fan to enjoy. 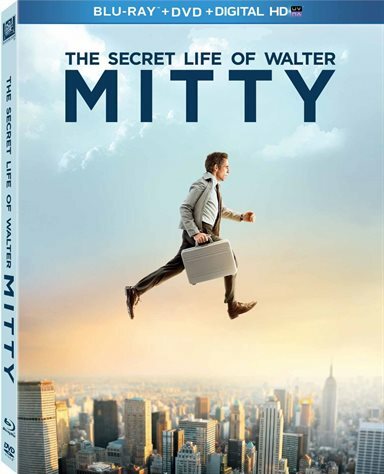 Download The Secret Life of Walter Mitty from the iTunes Store in Digial HD. For more information about The Secret Life of Walter Mitty visit the FlickDirect Movie Database.